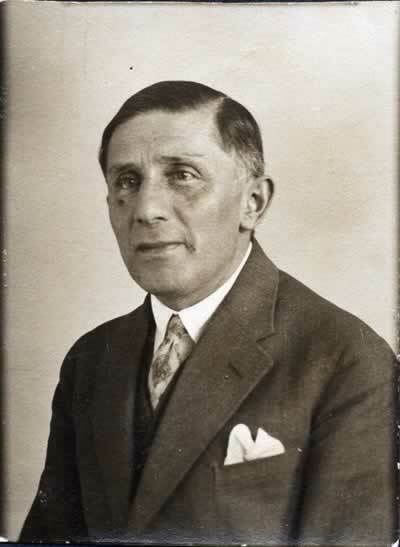 My Grandfather Richard Aronhold was born the 21st Jan. 1878 at Dresden, Germany. His father was Adolph Aronhold, his mother was Sophie Aronhold, born Ascher. 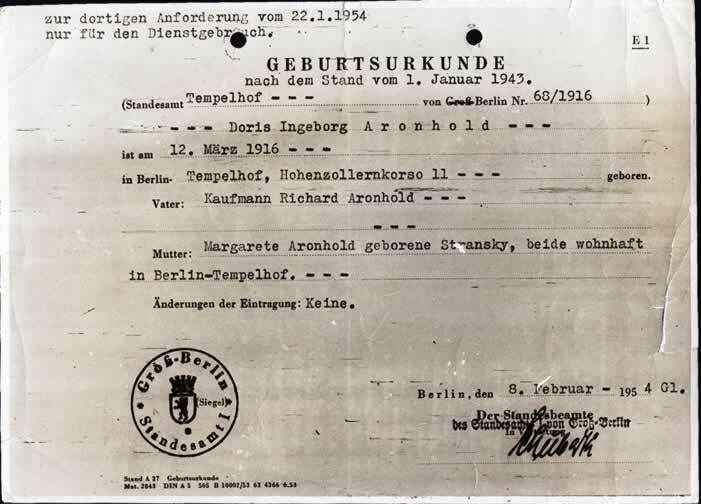 He married Margarete Stransky from Prague CZ and moved to Berlin-Tempelhof. There Doris Ingeborg Aronhold, his one and only daughter was born. They moved to Kastanienallee 25 in Berlin-Westend, later they moved to Knesebeckstr. 31 in Berlin-Charlottenburg, where we layed down a "Stolperstein" (see www.stolpersteine.com) for him in July 2007. In 1937 his daughter emigrated to Colombia - her parents paid for the ticket - and he never saw her again. His wife had cancer and was very ill when he had to leave her to save his life. In 1938 he emigrated to Prague to her relatives, hoping to be far away from the Nazis. He lived in Prague at two places we know: Praha XII, Sladkovského 3 and/or Brefskeho 10 c/o Stransky. From Prague he was deported to Theresienstadt-Camp. Here he had to wear the Star of David-Mark beginning with 19th april 1941. On 16th Octobre 1941 he was deported from Theresienstadt-Camp to Lodz as Prisoner 552. He was murdered by the Nazis at Lodz-Concentration Camp on 9th april 1942.